Good afternoon beauts! Hope you are all well. Even though LCM came to a close two weeks ago, my crazy schedule prohibited me from having time to update you guys on current events as they happen. Nonetheless, I figured it’s better to post it late than never… right? 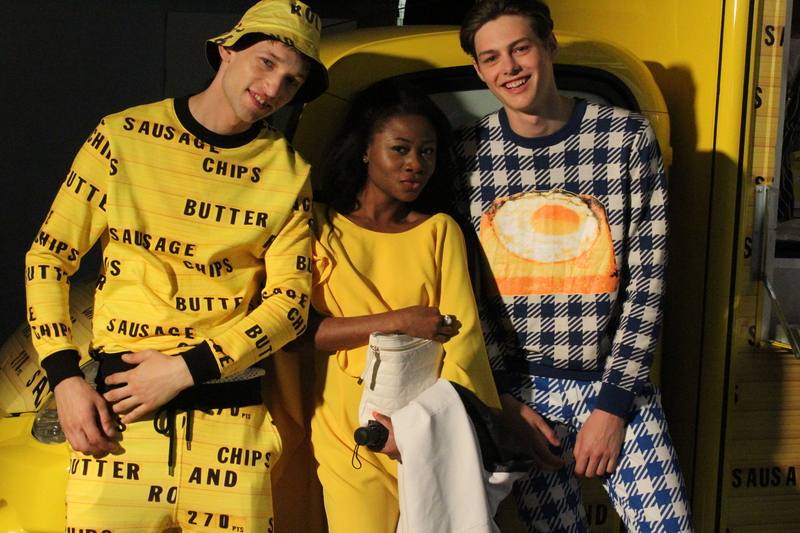 Henry Holland unveiled his first ever menswear in the car park of its élite stockists, Selfridges last week Sunday. 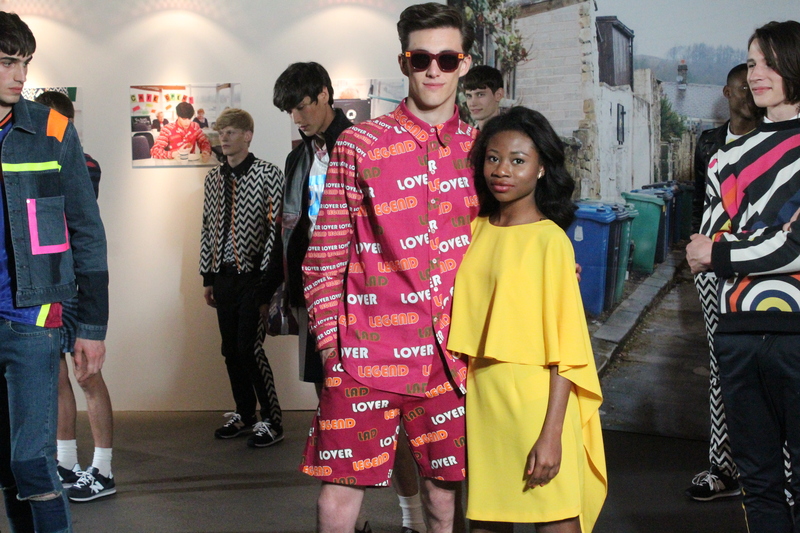 As I walked into the exhibition, it was evident that the theme was Lad, Lover and legend. 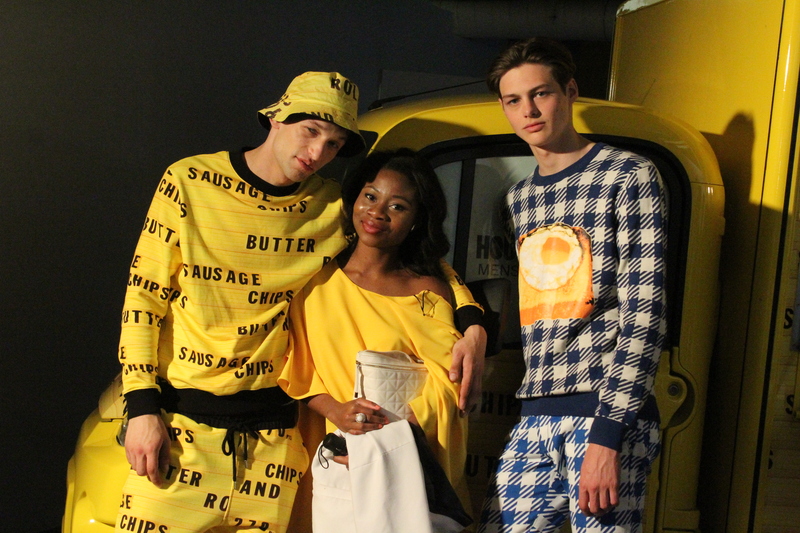 Henry’s collection was a mixture of wit and humor using various youth subcultures to reflect his childhood; Bold and brash colour palettes were obvious in each piece with canary yellows and bright blue being substantial players in creating a youthful edge, that represents youthful freedom in the 90s. 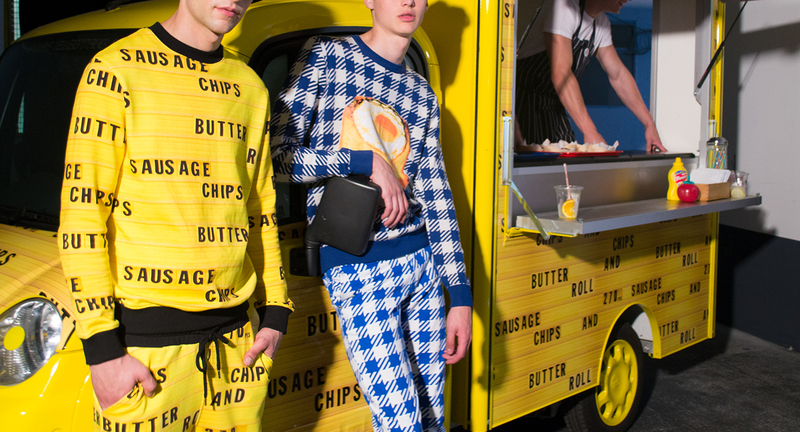 Once I was done taking pictures and consuming burgers with some drinks that were served by models, I walked over to watch a video Henry and celebrated photographer Martin Parr worked on. 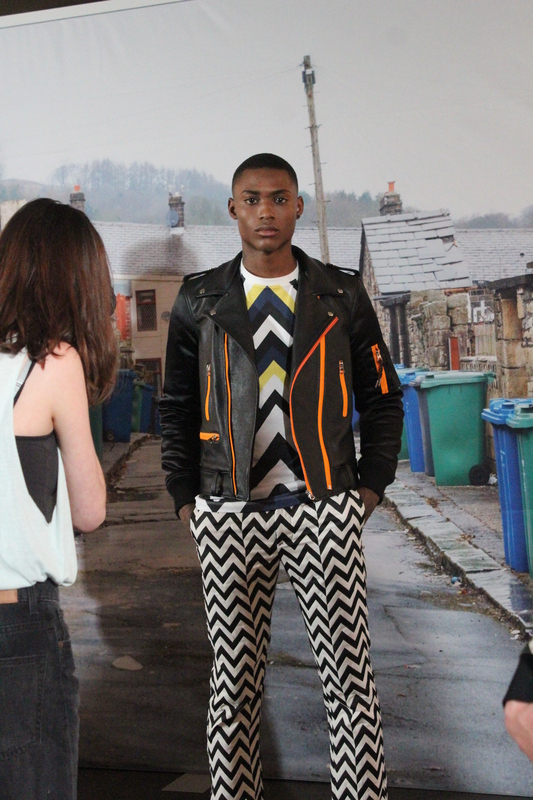 these looks are all really dope. It’s hard just to choose one. 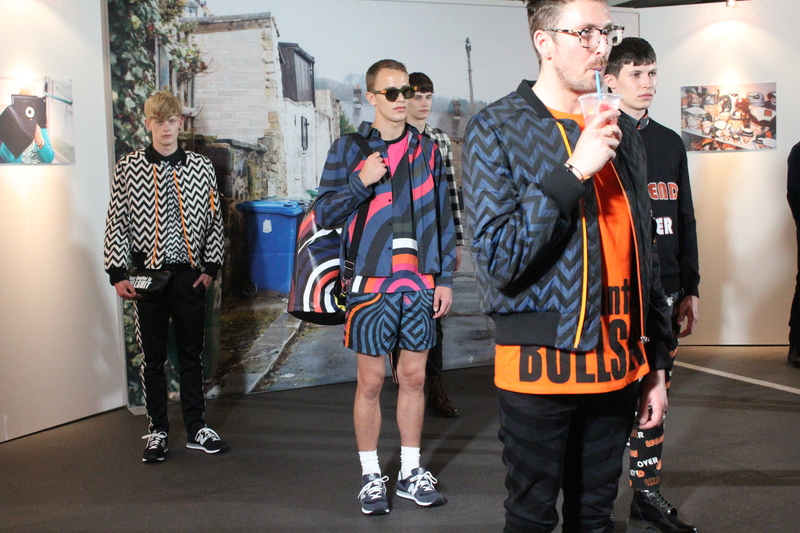 I like the aesthetic of this collection, the prints are bold and loud.